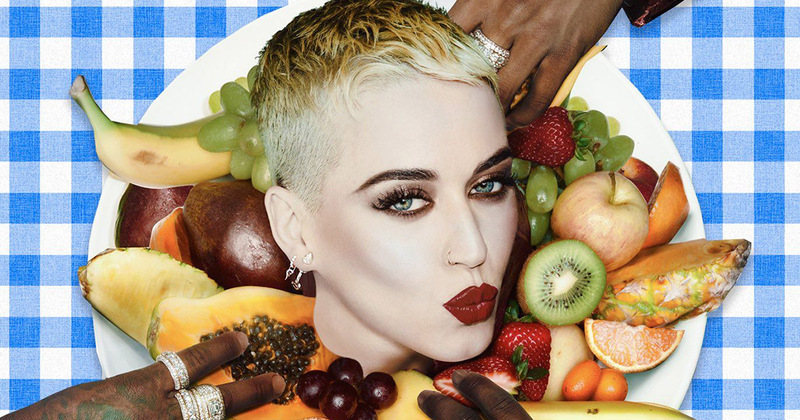 Katy Perry is serving up a tasty treat with her new single "Bon Appétit"
After a week of baked goods and teasing, Katy Perry has dropped her latest single “Bon Appétit,” and it’s a sugary piece of pop confectionery. Earlier this week, Katy Perry sent her fans into a meltdown. The singer emailed those on her mailing list a recipe for cherry pie, before sharing the recipe on social media. The singer teased that if fans were to send her pictures of their pies, they could be in for a treat. Of course, fans all over the world got their bake off on and started work on their pies, sending KP pics of their baked goods. In response, she then announced that she was releasing a new song, and that it was out THIS WEEK. Produced by Max Martin, a regular collaborator of Perry’s, “Bon Appétit” is expected to be the first single of the singer’s upcoming fourth album, which she’s still hard at work on. The track is a slight deviation from the “purposeful pop” of “Chained to the Rhythm,” instead opting for some tongue-in-cheek puns and innuendos. "Cause I'm all that you want, boy/All that you can have, boy/Got me spread like a buffet/Bon appétit, baby," Perry sings on the track. Listen to “Bon Appétit” below. Earlier this year, Perry announced that that she planned to release some singles before dropping her anticipated album. “Bon Appétit” is available to stream and download now.